When I first heard about Puff Off! just before Christmas, I had it earmarked as a ‘must buy’. I finally got my hands on it at launch, just a few weeks ago. Since then I’ve used it and then some, and guess what? It’s bloody brilliant! HALLELUJAH! Basically, the skin around my eyes is dry, very dry (see my Visia skin analysis post, here). In addition to applying eye cream day and night, I need something that I can use throughout the day too, to top-up hydration levels as and when needed. Until now I’ve been using Skyn Iceland’s Icelandic Relief Eye Pen. It’s a fantastic product that sits happily over makeup (not many eye creams do). I very briefly reviewed it in my January empties post here. But it’s fantastic in all but one respect: Price! At £17.50 for 0.14 fl oz, you don’t get a lot of product for your money. And when you’re using it as frequently and liberally as I do, it soon becomes very expensive to maintain. Puff Off! was making similar wrinkle smoothing promises and could also be applied over make-up. Crucially it costs £22.50 for 0.34 fl oz – that’s 47% cheaper oz for oz (big thanks to mathematician hubby for working out that calculation!). In fairness Icelandic Relief Eye Pen is a skincare treatment containing peptides and anti-oxidants amongst other anti-ageing things. It’s really meant to be used just twice daily (skincare can be expensive to formulate). Puff Off!, on the other hand, sits within Benefit’s make-up range. My hope was that Puff Off! would hydrate and minimise my fine lines ‘on-the-go’ just as well as the Icelandic Relief Eye Pen – it does! In fact, for me it is better at giving an instant whack of hydration. I also prefer the applicator tip – it’s metal, so more cooling than Skyn Iceland’s plastic one. 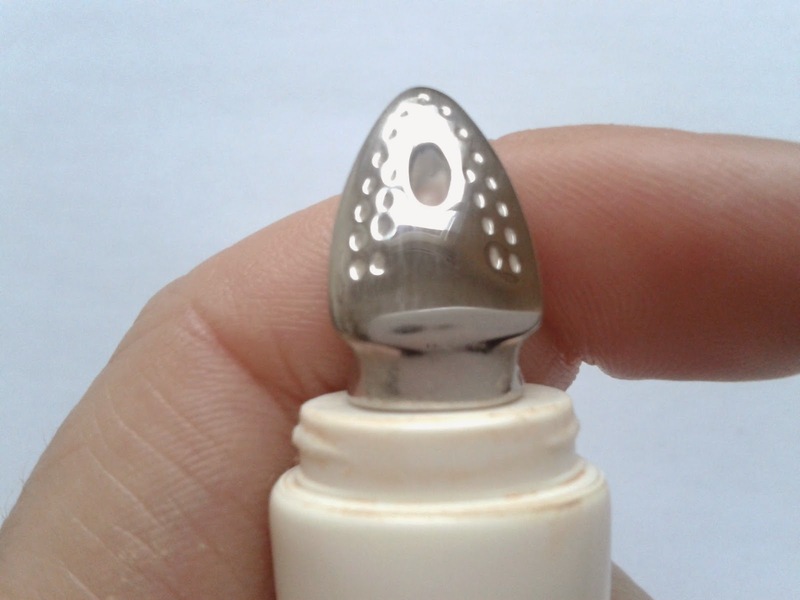 The iron shape (complete with pretend steam indentations) is also rather cute. Puff Off! is described as an under eye gel, though I think it's more a light cream in texture. It’s pink in colour but blends to transparent. It can be applied to both bare skin and over makeup. Squeeze a small amount from the tube and dot under the eyes. Glide over with the tip until absorbed. Benefit says to pat in gently with fingertips if applying over makeup, but I prefer to use the metal tip for this purpose too. I’ve taken a couple of before and after shots. It’s difficult to get across hydration levels in a pic - this is more something you can feel – but I do think my eye looks smoother and perkier in the after snap. The other big sell of Puff Off! is, of course, its de-puffing of the under eye area (the clue is in the name). I haven’t mentioned this aspect for the simple reason that it’s not something I suffer from. One thing Puff Off doesn’t do is eliminate dark circles (I think you can see this in my shots – I’ve definitely got a ‘lack of sleep’ shadow going on there!). So, I use Puff Off! 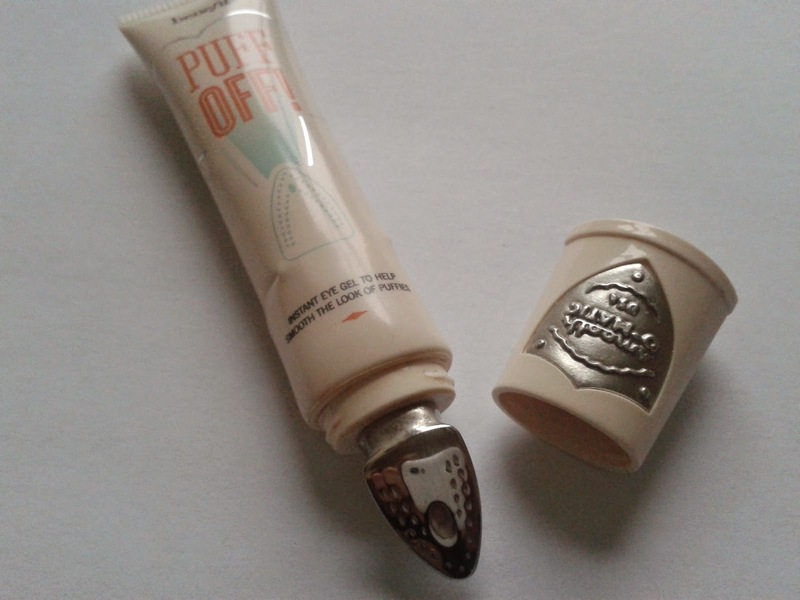 in conjunction with a concealer – I bought Benefit’s Fake Up at the same time as Puff Off! and it’s a fabulously hydrating combination. Puff Off! is available now here. The packaging is super gorgeous! I might have to dabble into this!